Ginger Homecare has been established since 1992 with the same Manager and Deputy Manager providing a quality home care service with well trained staff. We have provided care in the South Ribble area since this date and are recognised as a preferred provider for home care services. We provide care for the elderly, young disabled, physically disabled and mentally ill. We offer assistance with personal and practical care, carer support and also provide a night care service. When a request for a care package is received the agency ensures a needs and risk assessment is carried out prior to commencement of the service. A senior member of the team will visit the service user and a care plan will be developed. Full details of their needs and interests and how they are to be met will be discussed, ensuring we promote the independence of the service user while protecting them as far as possible from danger or harm. Get the right level of domiciliary care for your frail or elderly relative from the caring professionals at Ginger Home Care. Whether it’s an hour a week or constant attendance, we’ll cheerfully help with shopping, medication, personal care and cleaning. Maintain your independence in your own home with home help for people with disabilities from Ginger Home Care. Choose your own care centred support plan that enables you to live your life to the full knowing your basic needs are met by our friendly, professional team. Enable the person you care for to end their life in the peace and comfort of their own home. We’ll be there through the night to ensure he or she is as comfortable as possible, and help with medication, personal care and household tasks through the day. You may be entitled to to claim funding for your care. This will depend on your personal circumstances such as, salary, family expenses and disability costs, and how much savings you have. We will assist you with a support plan for your care funding entitlement. Ginger Home Care established a very successful business since 1992 with the aim of providing excellent care for their clients, we have over forty very dedicated staff members who are committed to providing quality care & help enable independent living and make them feel appreciated, dignified and respected. Pat Hill The Managing Director of Ginger Home Care took over the company in 1992. Pat is responsible for the financial administration and supports the Manager and Deputy Manager in the running of the company. 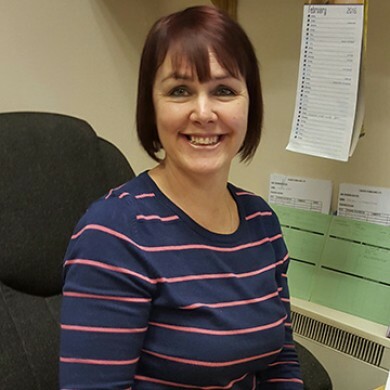 She is focused in offering care at a high standard ensuring the service users are safe and happy in their own homes with our friendly and professional service. Christine has managed the agency since it commenced in 1993. Christine is from a nursing background and prior to this role worked as a nurse for the company for ten years. Since the opening of the agency we have focused on providing a reliable, friendly agency with well trained staff and treating our service users with privacy, dignity and encouraging independence. 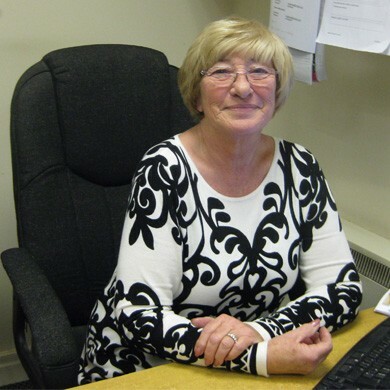 Susan has been the Deputy Manager since 1996 and previously worked for the company in the caring field since 1985. Susan has completed a Management Course and also has an NVQ level 4 in Health and Social Care. As an agency it is important to focus on person centred care plans and give priority for service users to have a choice in how their care is delivered. Our home help and domiciliary care service is designed to help you live independently in your own home in the South Ribble area even though you’re finding some daily tasks more difficult than they used to be. Get in touch with us today and we’ll visit you at home, talk to you about the kind of help you want and need, and work with you to put a care plan together that’s tailor-made to your requirements. Whether it’s a hand with a bit of shopping once a week or 24/7 personal care, our team of health and social care professionals will deliver a first-class caring service to you or your family member at home. We are Regulated & Registered by "Care Quality Commision"
We are (CQC) Care Quality Commision registered which cover the services we offer including Dementia, Eating disorders, Learning disabilities, Mental health conditions, Physical disabilities, Sensory impairments, Caring for adults under 65 yrs, Caring for adults over 65 yrs. We aim for 5 Star Quality with our service and individual care. We practice providing quality care with no exception. Click Here To See Our Reviews from very happy customers. Please can we up-date you regarding Father's condition. Sadly, he's currently in Royal Preston Hospital following a fall at home on Saturday. We wanted to thank you for all your support, and for the terrific help given by the ladies who cared for him during the previous weeks. You really were wonderful when we were struggling to get some help - please know how much we appreciated all that you and Gingercare did. I really don't know what will happen now, although Father is very poorly and I doubt will come home again - if anything changes we'll reach out to you. Many thanks once again and I hope this finds you keeping well. Thank you for excellent care you provide to mum and being able to help out at such short notice. We could not manage without you. Many Thanks. Rachel. On behalf of us all, we would sincerely like to thank you for the care and support you gave mum (Dorothy) and special thanks to Ros and Kayleigh as mums main carers, for the kindness shown. You should be very proud of the standard of care you provide. Yours thankfully Joan, John Richard and Family. Thank you for your kindness and attention to our father it was greatly appreciated. Ginger Home Care have been providing qualified, professional help to people in the safety and privacy of their own homes since 1992. Whatever your individual needs are, we are dedicated to giving you the best in domiciliary and personal care. Chorley and South Ribble - Leyland, Euxton, Astley Village, Chorley, Longton, New Longton, Penwortham, Lostock Hall, Bamber Bridge, Clayton Le Woods , Whittle Le Woods and Buckshaw Village. Open: Mon-Fri 9-5 Office Hours.